Put on your scuba gear and get diving with help from our certified scuba instructors, technicians and sales staff. Whether you're new to scuba diving or want to hone your skills, our diving enthusiasts are here to help. 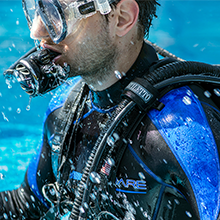 Our factory certified repair technicians, who are just as enthusiastic about scuba diving as our instructors, can help you with your equipment and promise to get you back into the water quickly and safely. Come to Zeagle Express in Zephyrhills, Florida, for all things scuba. Need help with your gear? We are ready to answer your questions about your equipment—how to use it, repair it, and other concerns. Our customer support is available to help, so call us today or come to our store with your questions or just to visit. Zeagle Express is a proud supporter of former and current military personnel, firefighters, police, and emergency response personnel. 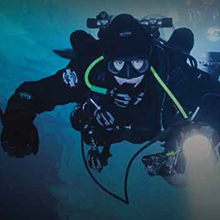 Zeagle Express is the world's largest dealer of Zeagle scuba gear and products. We have provided scuba diving gear and diving equipment from our Zephyrhills, Florida location for over 35 years. Our love for diving began in 1976. Since then, we have been learning our craft, traveling the world and involved at the industry level in research and development of the products we sell. We provide our customers with the proper knowledge for each and every piece of equipment. We have some of the best brands in the industry with a knowledgeable staff that is committed to you for sales, service, and scuba instructional training. Zeagle Express through Aquatic Adventures of Florida also provide service, sales and support to federal, county, and state governmental agencies. Aquatic Adventures of Florida and Genesis Diving Institute of Florida has been recognized by PADI (Professional Association of Diving Instructors), TDI, SDI (Training International), and NACD (National Association for Cave Diving) for excellence in diver education. We believe that all Divers want Professional Grade Scuba Equipment at resonable prices. To provide the best in customer service and knowledge at the best and most honest prices. Thank you for your interest. Please reach out to us with your questions or comments using the information below. We look forward to hearing from you and will respond usually within 24 hours or sooner. Sunday Closed - hey we have to go diving too! On-Line - Never Closed We're On-Line!